Proper dental care is so important for children and proper care should definitely start while children are young. The primary teeth of your child are important and must be cared for, as are the adult teeth that will soon come in after your child loses their primary teeth. 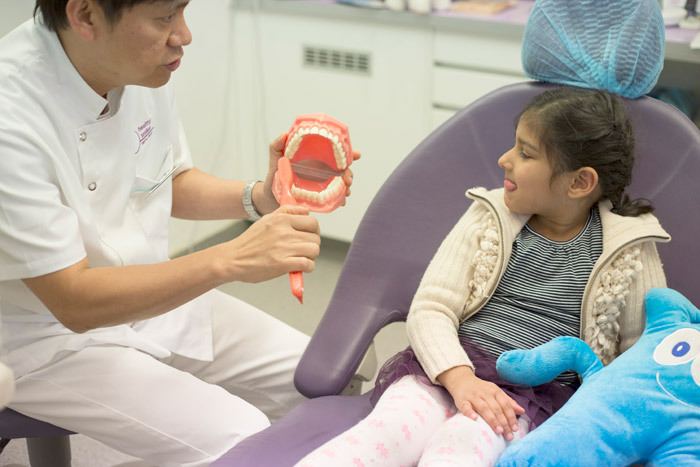 Getting your child into a good dentist quickly will help prevent problems in the future, which is why you need to find a good practice that offers children’s dentistry Melbourne. At Healthy Smiles, you will find your one stop clinic that offers excellent dental care for children, focusing on preventive care while offering a cosmetic dentist for any cosmetic concerns you may have for your child as well. The experience we have at Healthy Smiles combines with our desire to offer children the best care possible. We work to provide care that works best for children while creating a comfortable atmosphere that keeps kids happy and comfortable. We specialise in maintaining and improving dental health in children and adolescents, while working to detect any potential problem early. Our professionals at our children’s dentistry Melbourne clinic offer prevention programs that help to prevent the need for cost treatments in the future and that work to maintain a beautiful, healthy smile for life. Along with paediatric care for younger children, our clinic also offers orthodontic treatment, specialising in preventing and treating any facial or dental irregularities. This includes the use of corrective appliances in many cases and other treatments offered by a quality cosmetic dentist. Our goal is to offer children and teens with the orthodontic treatment they need to insure healthy teeth in the future, as well as a beautiful smile that they will enjoy into adulthood. No matter your children’s specific dental needs, Healthy Smiles can offer the solution to every dental problem while keeping you and your child comfortable in our office. Offering dental care to children comes with specific challenges, but we have the experience and care to meet these challenges and offer excellence in care in an environment that helps to reduce the stress children sometimes feel at the dentist. Parents can feel comfortable bringing their children to a quality children’s dentistry Melbourne clinic, keeping teeth healthy now and in the future.